PLEASE READ THESE TERMS AND CONDITIONS CAREFULLY. PRINT AND KEEP A COPY OF THEM FOR YOUR REFERENCE. When you place an order with us, you are making a commitment to buy the product. We will send you an e-mail to confirm that we have received your order and that a contract has been made between us. In the unlikely event of the product is no longer available, or that we have made a pricing mistake, we will advise you of this. After the purchase is completed, and the order is processed and shipped, we stand by our 1 Year Limited Warranty and NO refund will be available. Cancellation of orders after shipping has been issued are not accepted. Unclaimed, Refused or Returned Packages are subject to a 25% Restocking Fee with no exceptions. Please, keep track of your package to avoid your item to be return back to us as UNCLAIMED. In case of returned merchandise, shipping cost from our warehouse to you (of $19.99 USD for Domestic & $59.95 USD for International) are not refundable including when we offer FREE Shipping. Import Duties or Taxes to any Country are sole responsibility of each Buyer/Consignee/Receiver and have no affiliation to our company. DO NOT SHIP ANY PRODUCT BACK TO US WITHOUT THE PROPER RETURN AUTHORIZATION NUMBER (RA#). Products without a RA# will be automatically refused. See below for more information! If the product are lost or damaged in transit, please let us know promptly, so that we can make a claim against the carriers and follow with their requirements and procedures to file a claim for insurance. If there is a problem with the product, please contact us via email at info@splitenderpro.com, send to us a direct message via our website or contact our customer service department at 1-619-209-8545 Monday-Friday between 10:00am-5:00pm PST “California” so they can perform a quick troubleshooting over the phone. 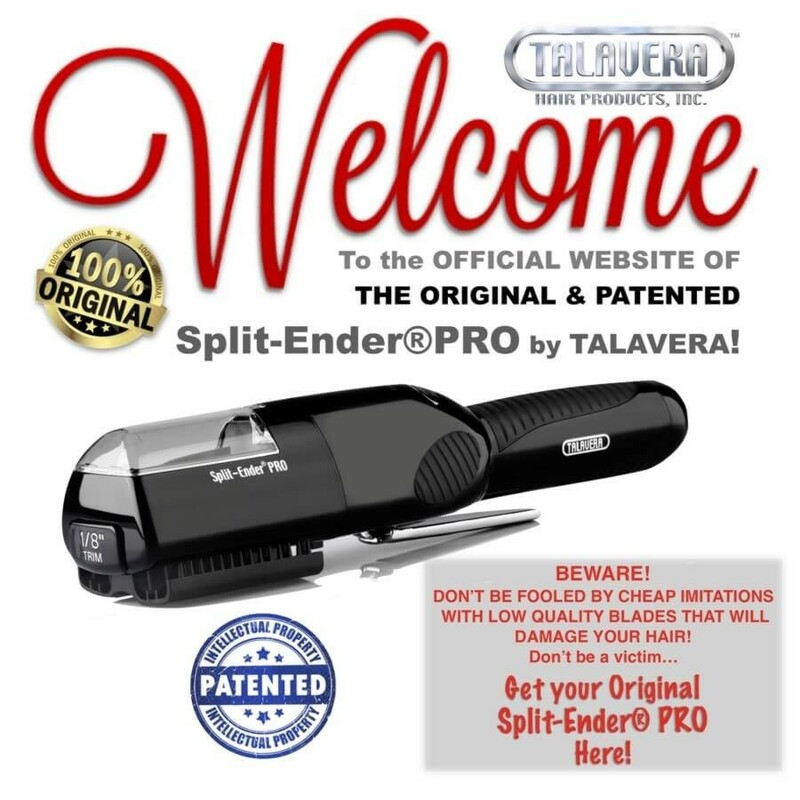 Your Split-Ender PRO comes with a 1 Year Limited Warranty and we will stand behind you and assist you in taking care of the problem in a timely manner. We are here to help you in every possible way. If you have noticed any damage on the packaging box during shipping please advice our customer service department when contacting us. If you are located outside the USA you can contact us direct at 1-619-209-8545 or counsel the Instruction Manual where you can find more details about how to perform a troubleshooting your self. If the product is defective or damaged please contact us at 1-619-209-8545 to trouble shoot your unit and receive a RETURN AUTHORIZATION NUMBER (RA#) so you can ship the product to us and we can receive your unit and properly fix it and return it to you as soon as possible. NO RETURNS are accepted without the proper RA#. Packages without the proper RA# will be automatically refused and will not be accepted.